This was perhaps a bigger change than I let on. Gone is the Vienna malt, and I only really scaled up the CaraPils (for body). The Crystal 20 remains the same, and the Turbinado sugar was only partially scaled up. Hop wise, I went with a Simcoe/Amarillo blend, with Simcoe providing the bulk of bittering (and just a a bit of flavor) and Amarillo pulling duty on flavor, aroma, and dry hops. 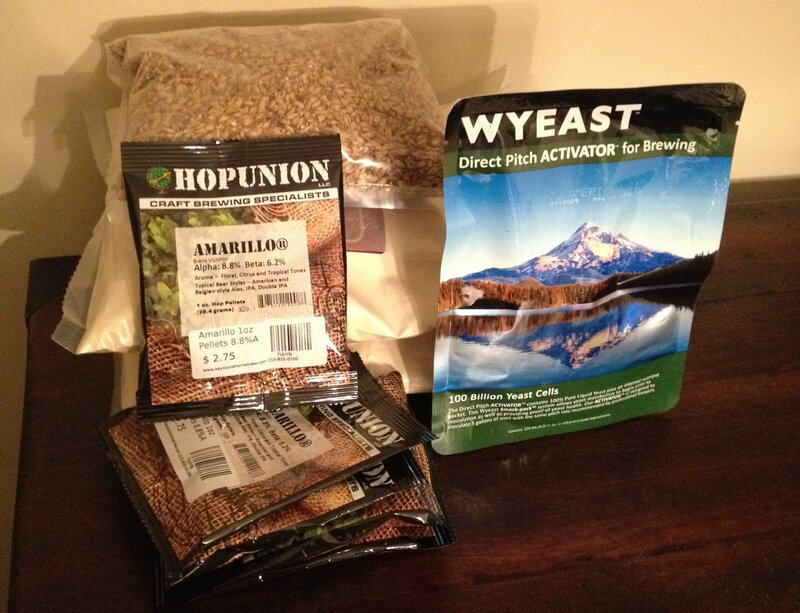 And just to switch things up a bit, I went with the American Ale II yeast, which seems to be a clean yeast that will still provide a little citrus boost to the hops (so I hope). Furthermore, I'm planning to keg this batch and transport the results in growlers. So it might be a bit disingenuous to give this the same name as last year's Fat Weekend IPA, but hey, I'm working on it. From a recipe standpoint, I'm thinking this is just about where I want to be. Last year, I really wanted to use this Simcoe/Amarillo hop schedule, but was stymied by a lack of Amarillo and fell back on Falconer's Flight and Citra to make up for the difference. The only real change I could see myself making next year is if the Conan yeast becomes more widely available (whether that be ECY 29 (Northeast Ale) or something else), but I'm definitely curious about this American Ale II yeast (from the descriptions I've read, it seems to have similar properties, though it's clearly not the same yeast). And this is a first, I forgot to take an OG reading. What can I say, I've been fighting a cold and hadn't quite gotten over it on Saturday. The recipe should have yielded something in the 1.067 range, and given my previous experience, I probably hit something around there. I'm pretty confident that after two weeks we'll be in good shape (somewhere around 7.1% ABV). Next up on the schedule is some sort of barleywine, which I'd like to give a bourbon soaked oak treatment to (or perhaps I'll go with something more exotic, like Port wine soaked oak, we shall see), then do the whole straight, oaked, and blend of straight and oaked versions. From what I've had of Bomb & Grapnel, the blend seems to be doing the best, so maybe I'll lean more heavily on that... After the barleywine, something light and crushable for summertime consumption (either a 4% pale ale, or a light saison). Then I plan to do something similar to Red Heady again in the fall, hopefully not screwing it up that time. After that, who knows? Maybe a redux of my Christmas Ale (a spiced winter warmer) or another batch of Bomb & Grapnel (with some slight tweaks). But now I'm getting way ahead of myself. Beer Nerd Details: 10% ABV bottled (375 ml caged and corked). Drank out of a snifter on 2/8/14. Certainly a brewery I'd like to sample more of, including a beer called Local Species, which is a Belgian pale ale made from the second runnings of Dark Hollow mash (and also aged in Bourbon Barrels). Color me interested. So I either drank this about 2 months later than I was supposed to, or about 6 years before I was supposed to, depending on how patient you are. Yes, this is the latest installment in The Bruery's 12 year long mission to create a beer for each verse of the 12 Days of Christmas. For the perseverant among us, the idea is to cellar each installment until 2019, when 12 Drummers Drumming is released and you can have an epic vertical tasting of a dozen 11%+ ABV beers and then die happy. For the rest of us, it's a fun annual exercise. 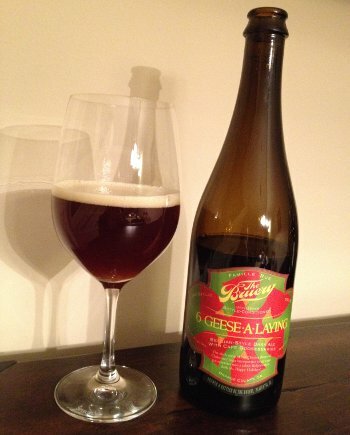 The Bruery 6 Geese-A-Laying - Pours a deep, dark amber color (chestnut?) witha finger of off white head. Smells of Belgian yeast, light spice and high esters, dark (but not roasty) malts offset by fruity aromas (clearly the gooseberries). As it warms, the nose takes on a very nice pie aroma, cherries and plums, or something like that (probably gooseberry pie, but I've never had that). Taste is very sweet, malt-forward, crystal malts up front with Belgian yeast spice coming in the middle and those berries making themselves known towards the finish. As it warms, some booze comes out to play, and that pielike character hits the taste too. Mouthfeel is full bodied, rich, a little sticky but with enough carbonation to make it approachable. Not a lot of booze until it warms up a bit, but it's fine. Feels pretty heavy, low attenuation stuff, though it works and it should give the beer legs for aging. Overall, this is very good stuff. I can't say as though it's mindblowing or anything, but it works. I'll give it a B which is technically the same grade I gave 5 Golden Rings, but due to escalating grade inflation in the past year, I'm going to downgrade that one to a B-, as this was clearly superior, even if it's not blowing my mind. Beer Nerd Details: 11.5% ABV bottled (750 ml capped). Drank out of a wine glass on 2/7/14. I'll be curious to see how age treats this one, so I'd like to track down another bottle (incidentally, I haven't seen this in PA for some reason, which is odd). When I picked this one up, there were still bottles of 5 Golden Rings laying around, which further underscores its disappointing performance. Anywho, I pine for the return of barrels to this series, which were great in 3 French Hens and apparently spectacular in 2 Turtle Doves. According to Ed, The Bruery doesn't know what 7 Swans-A-Swimming will be "as we haven't brewed a pilot batch yet", which leaves little time for Barrel experimentation. I'm crossing my fingers anyway. In the meantime, I've got a couple other Bruery beers burning a hole in my cellar, so keep an eye out for more reviews in the next few weeks. I don't know about casks 1-199, but I think Sante Adairius may have stumbled on to something with numero 200. In reality, they only have one of these (and you can see it in the background sometimes). 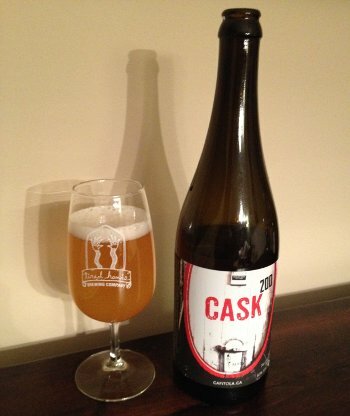 It's a 660 gallon oval cask that they use in Solera-like fashion for a funky saison. Each time they package a portion of its contents, fresh beer is added back to Cask 200, thus mixing with the old beer and "learning" how to ferment and be like its aged brethren. As such, the average age of any packaged beer is going to be higher than previous bottlings and the finished product will vary from batch to batch. Unfortunately, I have no idea which batch I'm drinking here (I suspect batch #2), but that doesn't really matter because this is fantastic stuff. Beer Nerd Details: 6.5% ABV bottled (750 ml capped). Drank out of a flute glass on 2/1/14. Batch 2? So Sante Adairius is 2 for 2 here at Kaedrin, with 2 solid A grade beers. It's almost enough to plan a trip to Capitola, CA and visit them first hand. At the very least, I'll have to make arrangements to secure more of their beer! Maine Brewing (out of, well, let's just leave it at Maine) has never really blown me away, but I'm always intrigued to try a new brew from them. I haven't seen many lately, but on a recent excursion, I jumped at this sucker. It's a counterpart to Maine's Another One IPA; both beers use the same hop schedule (Warrior, Cascade, Citra, Simcoe), but while Another One has a very clean malt bill, the Weez here incorporates various dark and roasty malts (making this one of them American Black Ale thingies, or India Black Ales, or whatever you want to call them). An interesting idea, though I really wish I had the counterpart IPA to compare notes! So there you have it. I will be on the lookout for Another One, amongst, well, other ones from Maine. So unfortunately, I'm going to have to play Rustin Cohl (i.e. 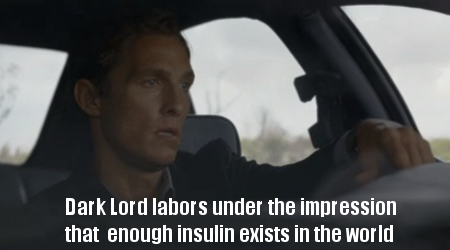 McConaughey) to collective beer nerdery's Martin Hart (i.e. 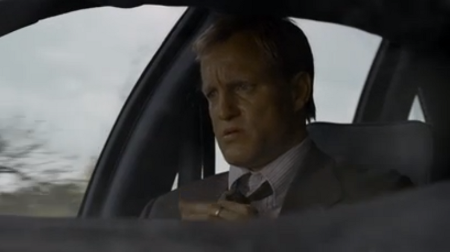 Harrelson). Despite all the accolades everyone seems to hand out, I did not particularly love this beer. It's not awful or anything, but it's one of those beers that's hyped to high heaven or at least, it used to be... The hype has slowly been shifting to the ever more rare barrel aged variants, though this regular, non-BA version still commands pretty high ratings and ridiculous prices in the secondary market. 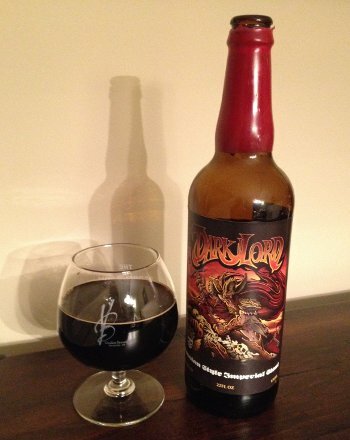 For the uninitiated, Dark Lord is a massive 15% ABV, coffee-infused imperial stout made by Three Floyds in Munster, Indiana, and it's only available at the brewery on one day out of the year (aptly titled Dark Lord day). This is a practice that has spread to just about every other brewery that has a big imperial stout release (think Darkness day or Hunahpu's day). It's very much a publicity stunt, though it's also more of a festival than a beer release (though the beer is the primary motivating factor), what with lots of other beers on tap and live music and large crowds. Attendance is capped at 6000 tickets, and there are apparently huge lines (according to these guys, the wait, even when they had a ticket, was three hours) and lots of beer sharing and trading and other hijinks. Allocation is 3 bottles per ticket (for the math impaired, that's 18,000 bottles), so it's not like this is a particularly rare beer, it's just that the distribution is limited. I got my bottle in a trade with a gentleman from Chicagoland and have been holding on to it for a rather long time. Part of the reason for this is that everyone says the beer gets better over time and that it's cloyingly sweet and boozy when it's fresh. This particular bottle was a 2012 vintage, so it's had almost 2 years to mellow out. Was it worth the wait or the hype? Not really. I certainly wouldn't mind trying a bottle of fresh stuff (or any of the BA variants (like that will ever happen)), but this definitely did not live up to expectations. Beer Nerd Details: 15% ABV bottled (22 oz. waxed bomber). Drank out of a snifter on 1/31/14. 2012 vintage, red wax. So there you have it. I'd obviously rather be drinking this than a lot of other beer, but at the same time, it doesn't seem worth the hoop jumping that it takes to get a bottle (directly or indirectly). 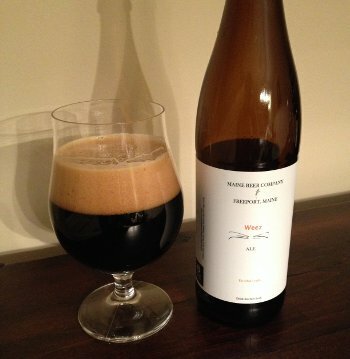 Back in the day, this was what I'd call a white whale beer, something I never expected to get my hands on, and with the ever shifting goalposts of beer nerdery, it seems that the regular Dark Lord has been slipping in reputation of late. As mentioned before, the barrel aged variants are a different matter, and to be sure, I could see the added complexity (and age) doing wonders for this beer (alas, I have severe doubts that I'll ever sample that stuff). Indeed, when I got towards the end, instead of powering through the last few ounces, I poured some bourbon in the remaining brew, and it actually allowed me to finish it off (this is pretty sad, really, but hey, it worked). Then I went to bed, because damn. Even spreading this out over a few hours, it was kinda tough. 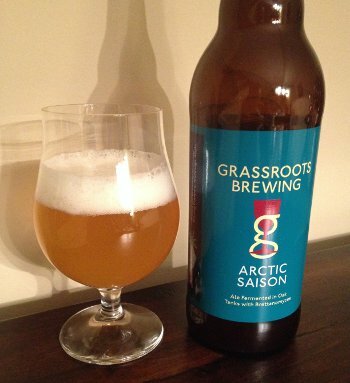 Before the tiny juggernaut of Hill Farmstead, there was Grassroots. It's the oft-collaborative label of Hill Farmstead's Shaun Hill, who began Grassroots during his 20 month tenure at Denmark breweries like Nørrebro Bryghus and Fanø Bryghus. The idea was to start a contract/gypsy/collaborative brewery called Grassroots that would build enough capital to move brewing operations to Hill Farmstead in Vermont. Grassroots started in Denmark, but has moved all around the world as Hill has collaborated with a variety of other brewers (including local Kaedrin heroes, Tired Hands, amongst many others). I've only had a couple Grassroots beers, but they've been uniformly excellent. This particular beer is a saison fermented in oak tanks with Brett. It's a collaboration with Anchorage brewing in Alaska, and because it was brewed at Anchorage's larger facility, it's actually received a reasonable distribution (some Grassroots brews are made at Hill Farmstead, and thus don't really make their way out of Vermont). Me, I got this by waiting in line at Hill Farmstead during Operation Cheddar, but for some unfathomable reason, this beer sits on shelves at various places around the country. Given the obscene (yet somehow appropriate) hype surrounding Hill Farmstead, it's surprising that this beer isn't more highly sought after. I guess most folks don't know what to make of this whole separate, subsidiary label. I'm not complaining though, as that just means more for those of us in the know. Beer Nerd Details: 6% ABV bottled (750 ml caged and corked). Drank out of a tulip glass on 1/26/14. Batch 1 May/2013. This marks the last of my Vermont treasures, and thus I think I need to start planning another trip up north to stock up on more Alchemist, Lawson's, and Hill Farmstead. Just in the nick of time. This was scheduled for earlier in the month but got delayed due to snow and other such things. 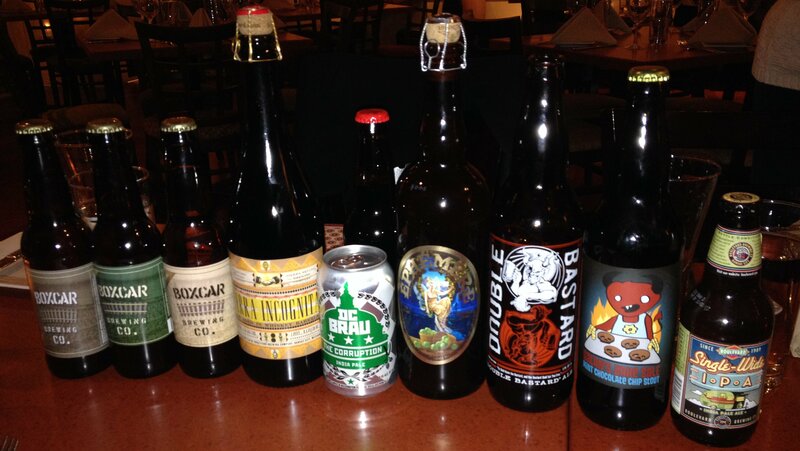 But we persevered, and Beer club marched on. For the unawares, beer club is a gathering of beer minded folks from my work, who get together once a month at a local BYOB for beverages and fun. Unibroue Éphémère - This is not as apple-flavored as I remember, though that character is still fully present in the beer, which is a pretty solid Belgian Wit style affair and would make a great summer beer. 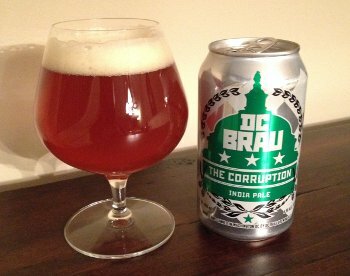 DC Brau The Corruption - A beer I reviewed in more detail just yesterday. 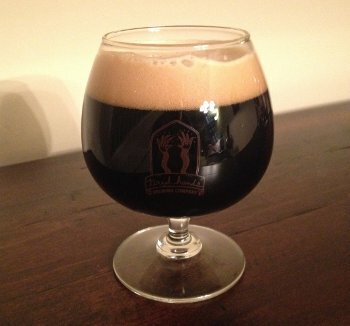 Kaedrin Bomb and Grapnel (Blend) - This is the version that contains a blend of straight RIS and Bourbon Oaked RIS. It turned out pretty darn well, though the oak character is a bit muted here. I don't know that I'd be able to pick it out blind, but regardless, it turned out pretty well and everyone seemed to enjoy it. Look for a triple feature (with all the variants) soon. I'll give it a B+ for now, though it could easily be higher. The Corruption is named for "the corrupt bargain". What's that you say? Well, in the 1824 presidential election, when no candidate had a majority of the electoral votes, the 12th article of amendment to the Constitution dictated that the House of Representatives had to break the "tie" between the 3 candidates who had the highest number of electoral votes. "The corrupt bargain" refers to the rather dubious dealmaking of Henry Clay in securing the White House for John Quincy Adams. In doing so, he out-Blagojeviched Rod Blagojevich and was quite coincidentally appointed as John Quincy Adams' Secretary of State. As noted at Beerbecue, this was a pretty gutsy move on Clay's part, as Andrew Jackson is in the top 3 most badass Presidents of all time (perhaps a dicussion best saved for later). Beer Nerd Details: 6.5% ABV canned (12 oz.) Drank out of a snifter on 1/26/13. Now I just have to brave the inevitable shitshow once On the Wings of Armageddon makes its way up here. From what I've heard, it's well worth the hassle. Let's hope I'm equal to the challenge (it's apparently already shown up on tap in the city and it appears to be a semi-regular limited release beer, so it will hopefully not be too difficult to secure some). 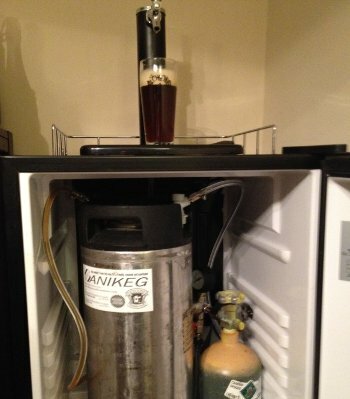 Yep, I got me a kegerator, so no tedious bottling was needed for Red Heady. 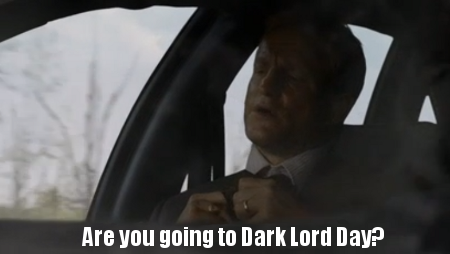 On the other hand, I totally screwed Red Heady up. It's terrible, and I'm 99% sure that it's the way I harvested the Heady Topper yeast. I'm pretty sure the OG of my starter was way too high for the weak, harvested yeast. The final result wasn't infected, per say, but it did have a taint to it that I associate with weak yeast. I'll have to brew up a more straightforward batch sometime. I still have a couple cans of heady, so I could try harvesting the yeast with a much lower OG starter as well. In the meantime, I need to get Fat Weekend IPA up and running (I'll probably just use American Ale yeast for that sucker, don't want to take any chances). Kaedrôme Saison is coming along, but sure is taking its time to condition in the bottle. I'm getting inconsistent carbonation levels, and it's never quite reached the heights of the non-funkified version (which is still drinking pretty great these days, though I'm critically low on supply, with only 3 bottles left). Finally, the Russian Imperial Stout I made a while back seems to be coming around... and I even came up with a name for it: Bomb and Grapnel. If you get the reference, I love you. As a hint, I will note that in the book(s), the Bomb and Grapnel is a pirate-themed hotel bar that is not as cheesy as it sounds. But it's an evocative name for a big, bold imperial stout, no? Nowhere near as roasty as I was expecting, though I wasn't really going for super roasty either. Still, if I were doing this again, I think I'd remove the munich malt and add more roasted malt (or black patent). Still, it's drinking reasonably well. Sweet, but not cloying, and actually somewhat hoppy (not like one of them India Black Ales or whatever you call them, but the hops are there), it's working pretty well for me. When I was bottling, I didn't get much in the way of oak or Bourbon out of it, but I haven't opened one of those bottles yet either, so I guess we'll just have to wait and find out. I figure another month or two and I'll be ready to drink all three side by side and see how they're doing. After bottling Bomb and Grapnel, I took the Bourbon and beer soaked oak cubes and put them back into a mason jar with a few ounces of Dad's Hat Rye, a local Rye whiskey that could probably use some more time on oak (they typically aged for 3 months or so in small casks). And I figure the added beer would also make for an interesting result. We'll check in on that experiment in a month or two, I think. Next up on the Homebrew front is Fat Weekend IPA, a beer I'm making for the eponymous Fat Weekend, a gathering of portly individuals from all over the northeast (and some points west) which will be sometime in mid-march. I will hopefully be able to switch up the hop schedule a bit again - hoping to use Simcoe for bittering, and Amarillo for flavor/aroma. I'm also planning on making a full batch this time. After that batch, who knows? I do want to do something similar to the three variants of Bomb and Grapnel, but with a barleywine (though I'd like to learn a little more about how Bomb and Grapnel turned out before I really commit to anything there). And I also want to make a crushable pale for summer. And maybe, someday, a Scotch ale (perhaps with the bourbon and oak treatment).